A coworker brought in the biggest box of chocolate I've ever seen. 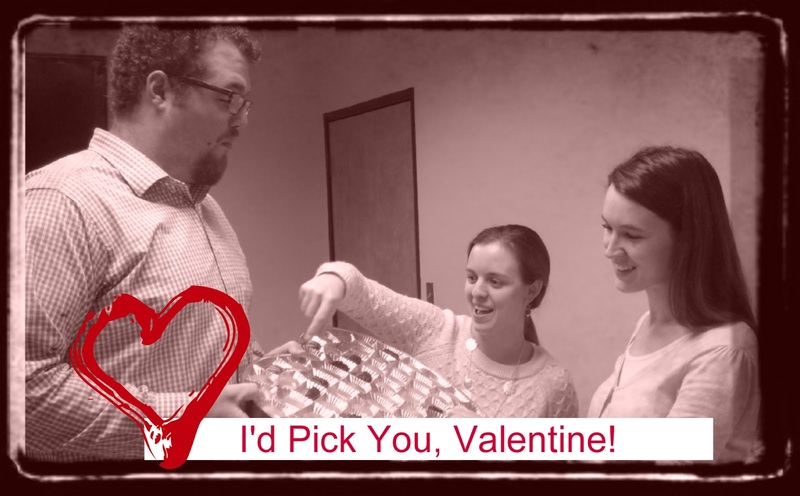 After eating most of them, we were inspired to make some Valentines of our own. It might be a while before we're given free reign with chocolate again. Hope you all have a happy Valentine's Day! Note: The expressions on the Valentines are in no way meant to reflect the feelings of the models in the photo.